The IDHAS Radio Excitement reaches Number 46 tomorrow night. This week's show has 16 songs, all new. In fact, there is so much good new stuff around, it was difficult choosing what to leave off. At least next week's is half ready. Incidentally, quite a few have asked about the trial last week with a couple of Show Promo Bumpers. If any artists want to record their own, feel free, just email them to the Blog Email address. Also, a reminder that the show is archived the following week on Mixcloud. You can listen to the other forty five shows and two Xmas Specials here. 02 Jeff Whalen - Jendy! The net connection here is partying like it's 1999, but there are reviews ready to flood at you. I'm currently listening to a new album that is magnificent and throughout it reminds me of Parasites And Kings. You'll see the reference when the review is finished. In the meantime I dug this article out from six years ago in the ASH days. I'm often asked to list my Top 10 albums of all time, too often to be honest. I tend to prefer looking forward these days than looking back, it's a passing 50 thing I think. I avoided the recent ten album Facebook thing despite many nominations, sorry. But whenever I have compiled such a nostalgia fest, those ten albums change, I'd be a dinosaur if they didn't, but two albums remain whatever, XTC's Oranges And Lemons and Sean Macdonald's masterpiece. If you spot Parasites And Kings anywhere buy it, you won't regret it. I don't know if availability has got better or worse in the time since this was written. This is one of those great lost albums and one my favourite platters (yeah I know we don't call them that these days, but we should) of the past decade or so. I'd recommend it to all, it'll hook the majority. It's so hard to define where it slots into, style wise, he can slur like a Dandy Warhol, yet get psychy trippy, grab a riff and sound EMO and then fashion up some great Power Pop. At times the lyrics are almost stream of consciousness, but then he will just come up with something like the title track that is one of the most beautiful things imaginable. Oh and there's a fair smidgeon of Mouth Organ too. 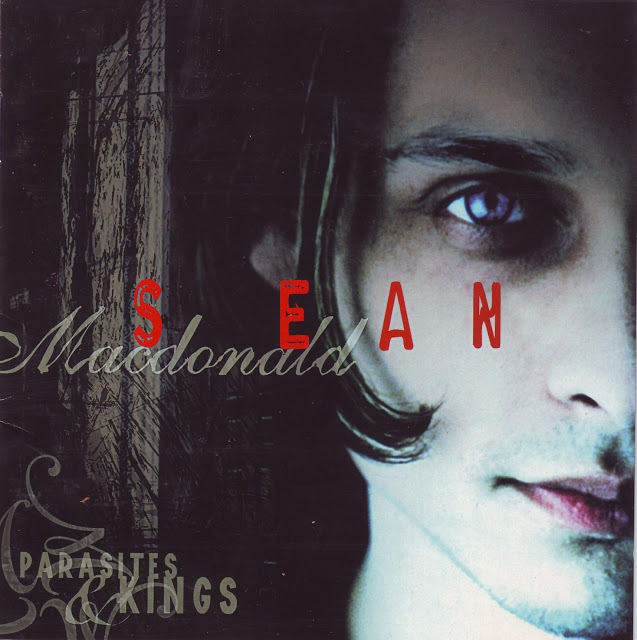 Canadian, Sean Macdonald has been ploughing the Indie trail for 15 years, releasing four albums. The most recent being 2010's Pink Noise. Not easy to find, but if you do, they'll be fairly cheap and hit the spot. Parasites And Kings is from 2000. 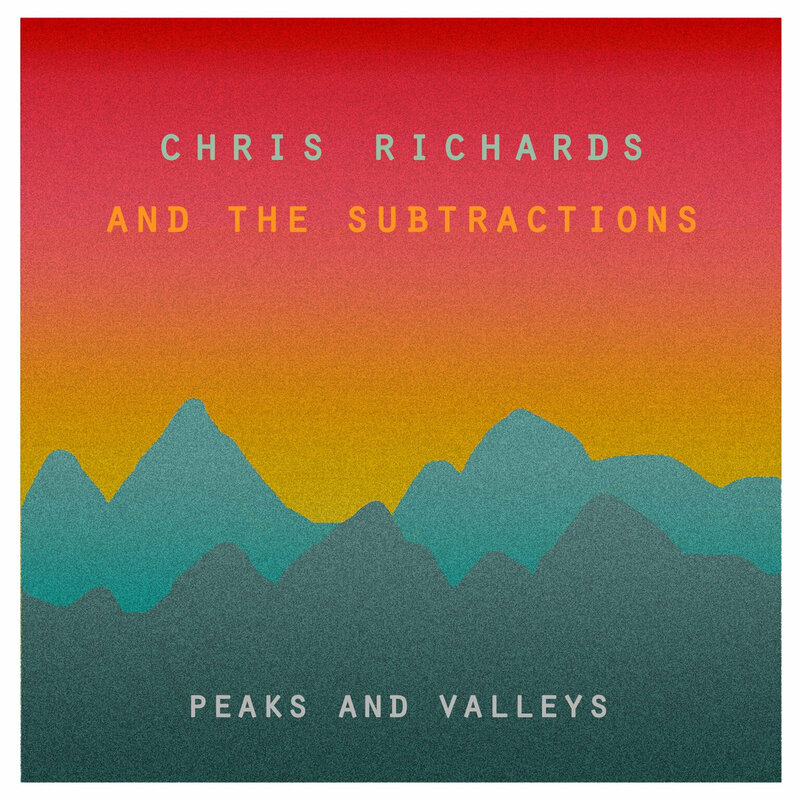 Chris Richards has always written great melodic songs. As one of the Michigan Pop mafia, his work with others as been as impressive as his long established career. However, it's his albums with The Subtractions that show him at his best and most versatile. Their last album, 2012's Get Your La La's remains one of my favourite albums of that year. The trio have now expanded to a four piece and the addition of Andy Reed is a key addition. Away from Reed's Production on so many of fine albums over the past few years, his Reed Recording Company work remains highly sought, the main addition here are his Backing Vocals. Richards and Reed are two thirds of The Legal Matters and so it's no surprise about the Backing Vocals, but as a foursome, the sound seems fleshed out and brings the best out of these ten fine songs. Richards alone is a mark of quality, the expansion into a quartet has brought a whole new depth to his songwriting. The Quartet are completed by Todd Holmes and Larry Grodsky and lovers of the trio format need not fear as that Big Star / Teenage Fanclub vine is still present and correct. It's just that this is taken further, best explained as a jangle dallying with Psych Pop. These ten songs provide his best collection yet. From the Psych Pop of opener, Half Asleep makes you realise that this is going to be a great trip and the melody doesn't let up. Riffs are plentiful, vocals awesome and Peaks And Valleys rarely slows down. On the odd occasion it does you get the likes of Thirteen and the exceptional, Weekend. Local Hero, Nick Piunti adds Guitar to In A Sense and Call Me Out, adding to the quality. If you want an lazy description, then Peaks And Valley is the sort of album Crowded House or Neil Finn should be making. I can't rate Peaks And Valleys higher, it's an absolute stormer. Finally a nod to fellow Legal Matter and head honcho of Futureman Records. His service is to the music we all love, both new and old, is admirable and doesn't get nearly enough credit. You can listen to and buy Peaks And Valleys here. When you visit, have a listen to Chris's Back Catalogue too, he never disappoints. I spend a lot of time speaking to Californian artists and in my world it's a very Pop orientated environment, whatever is prefixed or added to that Pop title, Psych, Indie, Rock, it's all Pop. But California seems to excel at Sunshine Pop, so it's refreshing to hear a band who explore a bit more. 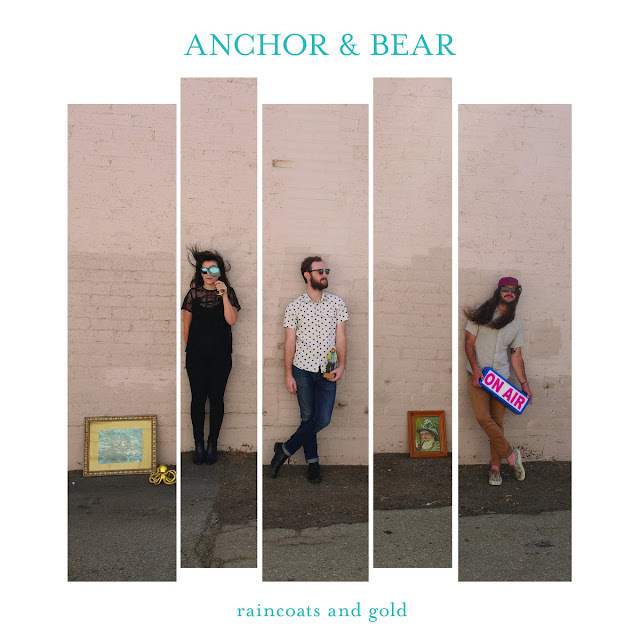 Ventura's Anchor & Bear were first mentioned to me as a Folk Rock band. I don't hear much of that on the front half of the album. Raincoats And Gold is a melodic joy, hooks ahoy. In fact there's almost half a dozen songs in one when toy listen to the superb opener, Hard To Say You're Sorry. Having two vocalists certainly helps the variety and the pair's songwriting certainly guides them to who is singing what. Brian Bringelson's vocals lend themselves to the Pop Rock excellence, whilst Katy Pearson provides a different direction. Her Voice Of An Angel vocals complement the moodier and perhaps Folk moments. Pearson also adds some great moments to the up tempo Pop. The album seems split in to two halves and so would lend itself beautifully to vinyl. There is a real joyous feel to those first six tracks. Started To Leave is all Mod Pop but with a very 80's Feel, think Style Council or Deacon Blue. Green Shoe Girl as an almost Van Morrison feel in the verse with a killer dual vocal chorus. Yet, Singer Out Of Work is all Jangle with a splendid Katy Pearson Vocal, it bubbles along beautifully. Mirage borders on Muscle Shoals. Walking Around is all Mod Pop, a cracking slice of UK Beat, a little bit Soul Review. There is a marked shift in tempo after Walking Around. Words is almost Bluesbreaker territory and from there on, the songs slow down and get moodier. This is no bad thing as the band seem comfortable with whatever they are playing. Gunfight is in early Eagles territory, Blueprints an acoustic joy and Hard Times is Country Folk at it's finest, it has a wonderful moody Pearson Vocal. The closer, Streetlight, is an absolute belter. It begins as a ballad, the split vocals work beautifully and it even ventures into Psych. Raincoats And Gold is an exceptional album. It'll certainly be on my end of year list. Hard To Say You're Sorry will open next week's Radio Show. You can listen to and buy the album here. You can also find out more about the band here. IDHAS On The Airwaves reaches Number 45 tomorrow night. 45 is a number that is obviously endearing to we music fans. Maybe less so in the States when one can envisage something thin skinned and orange. Also, a reminder that the show is archived the following week on Mixcloud. You can listen to the other forty four shows and two Xmas Specials here. Back onto the IPO Liverpool Previews with the outstanding mylittlebrother. Here I talk to head honcho, Will Harris. What made you start as a musician/band and who were your influences? I've been playing music since I was very small, and have been in various bands since my teens. mylittlebrother began whilst I was on a break from touring (playing piano for Aaron Wright My girlfriend asked me why I hadn't recorded my own stuff and I gave her feeble excuses until she persuaded me to try. I recorded the first song ,"Nosedive", on my own in my bedroom and a local rehearsal room in Carlisle, and released it with no expectations. It got picked up by Tom Robinson's Fresh On The Net, which led to exposure and airplay on BBC Radio 6 Music and Radio 1. It got some unbelievably good reviews, so that gave me the confidence boost needed to get a band together and start playing live. My influences are very varied. One of my earliest memories is making a mixtape from my Dad's old vinyl singles (I would have been 4 or 5). I remember particularly loving Telstar (The Tornadoes), Red River Rock (Johnny & The Hurricanes), everything by Simon & Garfunkel (particularly The Sound Of Silence), Good Vibrations. Also Return To Sender by Elvis (because I thought it was about a horse, ("she rode upon it"). Since then my tastes have broadened. I still adore 60s pop, but I also listen to a lot of Midlake, Grandaddy, Flaming Lips, Mercury Rev etc. Simply put, I just love good music and any good music that I hear influences my writing. What are your thoughts on IPO and Liverpool? We hadn't actually ever played in Liverpool until we were asked to play IPO 2016. We had a wonderful time playing, watching the other bands and exploring a fantastic city. Playing at the Cavern is obviously a huge honour for any musician. To play in a venue with that kind of history is a really special opportunity and IPO brings so many like minded people together that it is even more special, so we're over the moon to be coming back. We've pretty much finished our new single 'Cyanide' which will be out in June. The date hasn't been set yet, as we need to get the Promo ball rolling... This will be the lead single from our new album which will be out later in 2018. The new material reflects our live sound more than our older stuff, so it's a bit heavier sounding, but still maintaining the melodic, harmony-laden nature of our music. What appeals to you about Power Pop? Melodies and harmonies. They are a constant in my favourite songs and I think that Power Pop is a genre that really celebrates and explores them. Also, a bit of crunchy or Jangly Guitar never goes amiss either! What's the Cumbrian scene like at the moment and how do you and POwer Pop fit in? The Cumbrian scene is booming. There are so many high quality musicians around, from singer songwriters like Melanie Baker and Christian Moss, to Penrith bands Kveis and Beachmaster There are a lot of great melody writers in the area. And of course Kontiki Suite are playing IPO on the same day as us and they are utterly wonderful! You can listen to and buy the band's back catalogue here. mylittlebrother play The Cavern Club, both Front and Back Stages on Saturday 19 May. The IPO Previews get a day's break and the Album Reviews are itching to follow. In the meantime, I Don't Hear A Single's Radio Jamboree reaches Number 44 tomorrow night. There's even a couple of Guest Bumpers to enjoy. Also, a reminder that the show is archived the following week on Mixcloud. You can listen to the other forty three shows and two Xmas Specials here. 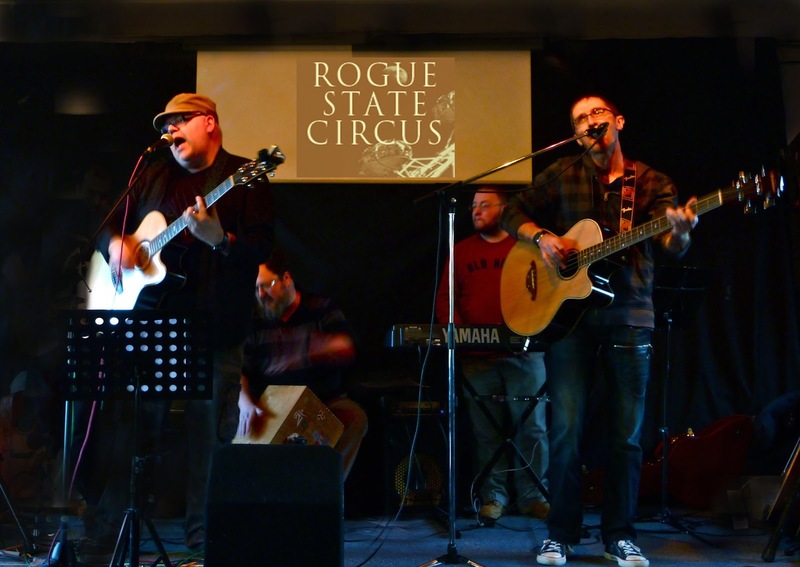 The Rogue State Circus are from Northampton and specialise in a sort of Indie Folk Rock. Although built around a strong Acoustic background, the Power Pop Influence is plentiful. Here Jon Delaney talks about the band. So tell me about Rogue State Circus. "Rogue State Circus were originally formed in 2009 when Duncan and I met and first performed at IPO Liverpool in 2010. We released our first LP "Songs From The Sea of Serenity" in 2011. Tracks from that first LP such as "Everything Under The Sun", "The Angels and The Astronauts" and "Dandelions" had extensive BBC and Independent Radio airplay. We've become a regular fixture at Regional Festival Main Stages. I write the songs. The flexible line-up of the Band currently consists of me on Lead Vocals and Guitar, Duncan Bisatt 0n Bass and Vocals, Karl Muddiman on Keyboards, Simon Barr on 12 String Guitars and Charles Hathaway on Drums or Rai Clews on Cajon/Percussion. Additionally, the band are also often joined by Karen Angela on Vocals. We enjoy playing stripped down acoustic sets as well as fully fledged electro-acoustic ones." "I'm influenced heavily by the Classic Power Pop of the 60's and 70's through New Wave and 80's Pop too. I like everything from the Fab Four to Prefab Sprout, Bacharach to Big Star, Kinks to Killers, Crowded House to Costello, Magazine to The Manics, Steely Dan to the Stranglers, We love a good Jangly tune with 12 strings and Acoustics, very much part of our eclectic sound. Rogue State Circus is first and foremost all about the songs and the songwriting - we're known for being "truly, truly genre-warping" (Kevin Buxton - Kontra Roots) - I've always loved great songwriting and I'm still working on it. I'm a great believer that if the song works on solo vocal and acoustic guitar or piano alone then it's probably fit for purpose to be "Power Popped up" arranged and built on by the whole band." So what are are your current and future plans? As the title suggests, the songs have a slightly darker edge this time round. We've also got another 11 tracks already partially recorded with Gavin for the third LP in our "Lunar Trilogy" prospectively called "Mare Imbrium" (Sea of Rainbows) and hopefully to be completed for release next year." "Relatively modest. We just want people to hear and enjoy our songs and play them to as many people as possible. We all totally adore playing live and now, thanks to the encouragement of the production wizard that is Gavin, are finally learning to love the Studio too. We're looking to play more festival and gigs all over the place, garner more Blog coverage, reviews and Radio Play. We see our audience as being people who like premium strength, melodic Power Pop songwriting with well crafted lyrics and also appreciate a passionate, energetic live performance. We're really looking to enjoy IPO once again as audience as well as performers. It's a first class festival full of real enthusiasm and joy, David and Rina providing the lead. We love Liverpool, for The Beatles, The people, The Graces and The Cathedrals (and whisper it, three of us are LFC fans). So if we manage to win a few hearts and minds for our own music while we're there, so much the better." The Rogue State Circus are soon to release their new album, you can hear songs here. The first album can be listened to and bought here. The band play both The Cavern Club and The Cavern Pub on Monday 21 May. Deborah Henriksson grew up in Morristown, New Jersey listening to Pete Seeger, Buffy St. Marie, Leontyne Price, and Giuseppe Verdi. She moved to Sweden in 1978 and that is her home base now. She trained her folk voice to classical music vocal ideals, before returning to a back to basics untrained Vocals in 2009. She has released five albums, her most recent two with original songs in partnership with Producer, Mats Nyman. 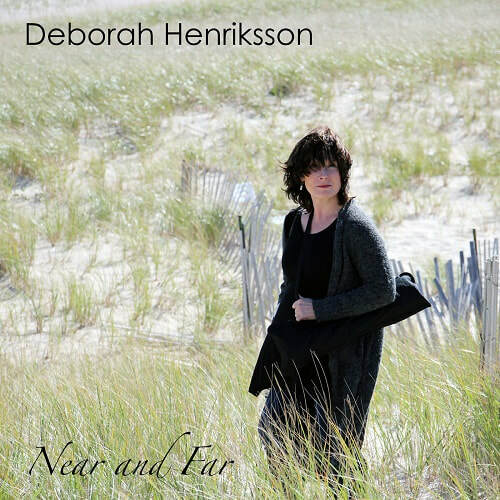 Deborah's latest album, Near And Far was released in August 2017 and made it to the first round of the American Grammy's in the category Best Pop Vocal Album. If you like Contemporary Folk with a Pop / Celtic / Americana edge then this will be right up your street. Later in May a hour long show in the Netherlands will feature Near and Far, and Henriksson will talk about the making of the album and the writing of the songs. Live performances follow in Sweden and new single releases are planned. It is hoped that her IPO appearance will ensure that more people will support Deborah's excellent music adventure. You can listen to the Near And Far album here. You can find out more about Deborah here and support her here. She plays The Cavern Club tonight and The Cavern Pub on Thursday 17 May. 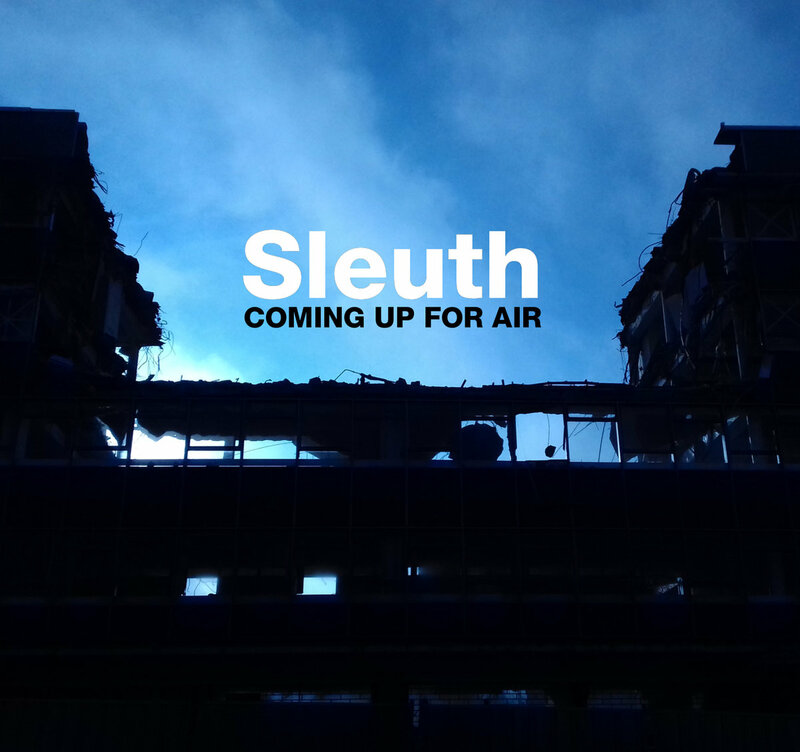 Sleuth are the bookish indie popsters from Wolverhampton, home of England’s first automatic traffic lights. Radio broadcasts include BBC Introducing 6 Music and BBC Radio WM with live appearances including The Northern Sky Festival with Gaz Coombes and John Bramwell (I Am Kloot). The Valentines Day release of the Coming Up For Air EP was the cover of Ryan’s Gig Guide for March 17, with a double spread article hailing the EP as ‘truly remarkable’ with ‘excellent songwriting’. The band is Chris Taylor-Ashcroft (myself), Becky Pickin, Andy Miles & Carl Bayliss. 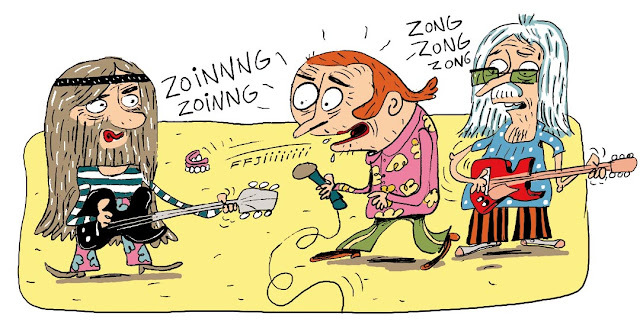 Their influences are Elliott Smith, Bowie, The Beatles, Beach Boys and Bob Dylan. A new EP should be released in the next month or so. New EP should be ready in the next month or so. Ypu can listen to and download the Coming Up For Air EP here. They play The Cavern Club, both Front and Back Stage on Friday 18 May. The Seasongs are a bright and breezy Spanish Trio. Spain isn't given the necessary kudos for it's contribution to Power Pop and Pop Rock. There's a burgeoning scene over there, as well as super Record Labels such as You Are The Cosmos. 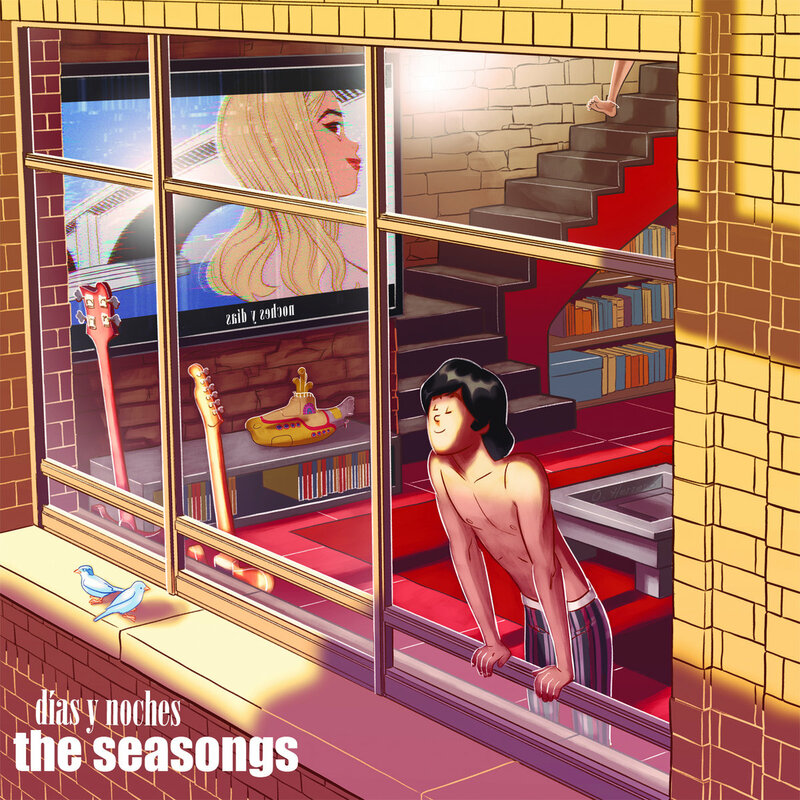 You may have heard The Seasongs on the IDHAS Radio show. If not, then they are certainly worth investigating further. Here I talk to Carlos from the band. "Our biggest musical influences come from bands like The Who, The Beatles, The Kinks, The Byrds, Big Star and David Bowie. Mainly classic bands from 60's/70's. We love riffs and vocal harmonies, so naturally we love Power Pop. Most of our songs are created from a riff, so maybe The Who are our main influence, though we recognise The Beatles as the greatest band ever. Pete Townsend is a real great influence in many ways. We have been writing songs in English for a long time but for some time now we are writing in Spanish since this is our native language. But our essence remains the same, we love melody. "Music is Life and Life is Music. Sometimes happy, sometimes blue, sometimes happy and blue at the same time. There's a connection between ourselves and the Universe through music.. it's something magical. We feel better when we are playing or writing songs. Music is a need, it's that simple. Our songs are a part of us so we love them." Tell us a little about the history of the band? "Buscando el sol" in 2015. We've also recorded five EP's from 2003 to date. Our latest EP is titled "Días y noches" from last year. It' is released on Vinyl by the Spanish label Clifford Records as is the"Buscando el sol" LP. It's been recorded, mixed and produced by Pepe Bermejo (Bass player in Happy Losers, Mamá and Los Imposibles). We have performed many gigs over the years, supporting both international and Spanish bands like The Jeremy Band, Stefan Johansson, Ugly Beats, Wiretree, Dropkick, Squire, Cooper, Happy Losers, Bang 74 and the José Estragos Band.. This year we'll be playing at IPO Liverpool for the seventh time. We also played at IPO Stockholm in 2016. Our albums are also available by Jam Recordings (USA), Kool Kat Musik (USA) and This Time Records (Japan). A song from our first album titled “New Love " is included in the compilation CD International Pop Overthrow, volume 15. The band line up is Óscar Granero: vocals, guitars. Carlos L. Vigara: vocals , bass and Jaime Bará Viñas: drums, percussion. "Well, our nearest concerts are at The Cavern Pub on Friday May 18th, 10pm and at The Cavern Club (backstage) on Saturday May 19th, 5:45pm. Furthermore, we'll be supporting the Australian power-pop band The Stanleys in Madrid at Fotomatón on May 26 and the great Scottish band Dropkick in Madrid at Fun House on July 14. We're planning to record a new album this Summer. We have enough songs to release a new LP." "IPO is the best pop music festival in the world. We have been playing at IPO from 2010 to date. We have lived great moments there, playing, listening to bands we look up to and discovering other bands we hadn't heard of before. We are grateful to David Bash for this. We love The Beatles, so we love Liverpool: a magical city where the Beatles spirit remains on every street." As previously mentioned, you can see The Seasongs in The Cavern Pub on Friday 18 May and at The Cavern Club on Saturday 19 May. You can listen to and buy the band's latest EP here. You can also discover The Seasongs' Back Catalogue here. The Stanleys are dear to my heart for a number of reasons. I'd always looked upon the Power Pop strength to be in the US and Australia despite it's roots here in the UK. That strength seemed to have diminished in Oz until The Stanleys reminded us it hadn't gone away. Plus they are honourary members of the Big Stir crowd. The single, Amy, featured in my Top 10 singles of 2017 as you can see here. The debut album set a IDHAS Radio record. The Stanleys became the only band to have the whole album played on the weekly show. The review of the debut self titled album is here. So it has been nice to chew the fat with Mark Di Renzo about the band's history, the scene and that extraordinary debut album. What made you start as a musician / band and who were your influences? "I guess you could say music was in my blood and I grew up around music so it was unavoidable … but a very good unavoidable! My grandfather, Giovanni (on my dad’s side), played bugle in the Italian army in the Second World War. My dad, Charlie, built his first guitar when he was 16 and still plays a little guitar, but more keyboards now. He ran a music business for many years with music studios, his own brand of speaker enclosures (which I use – Di Renzo Custom Sound), road cases etc and at the age of 74 he still is active in some of the aforementioned activities. My older brother John plays guitar and has been a member of The Stanleys live band since our first ever show. I started on piano as a kid, but to this day, only really dabble in the playing of black and white keys. I played and sang in school bands in primary school and graduated to the real stuff in senior school, but only took up bass guitar when I got to university. Initially my influences were more of the perhaps classic rockier bands, growing up listening to the likes of Led Zeppelin, Deep Purple, The Rolling Stones, Kiss and The Beatles. I probably discovered Power Pop more in my teens with bands like Cheap Trick, Hoodoo Gurus, The Posies, Fountains Of Wayne and Perth’s own DM3. I still think all that music is great!" "IPO has a special place in The Stanleys' hearts since we played our first ever gig at IPO LA back in 2011, before playing anywhere else in the world. We hadn't even played my home town Perth before. My previous band Gigantic had spoken to David Bash about playing his International Pop Overthrow Festival, but despite touring the US three times we never quite made it. David and Rina are wonderful people and the IPO community of bands is one that shows each other much love and support the world over. We've made so many friends around the world through IPO. As for Liverpool, ask me again after my first visit there to play IPO. But all reports from others are good ones and to play a venue that has hosted The Beatles, The Rolling Stones, Queen, The Who, Oasis and so many more is an absolute honour. I also love traditional UK food – Fish And Chips, Shepherd's Pie, English Breakfast etc, so I want to try Liverpool's Scouse, which I hear can be quite a delicious stew. I'm very excited for the visit!" "We've been lucky enough to have had quite an overwhelmingly positive response to our debut album so we're still busy touring it. 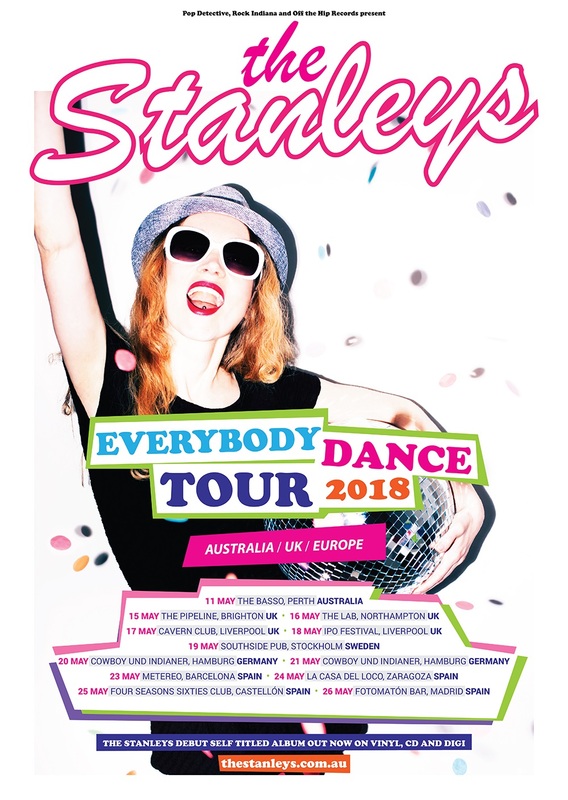 We've had a recent visit to the US and Europe and we're back to Europe again for the "Everybody Dance Tour". This time we're playing the UK, Sweden, Germany and Spain, where our European label is based. We've even learnt a few songs from Gigantic (most particularly for the Spanish audiences), but I'm sure we'll bust out a couple for the UK and other shows also. After that we'll take a breather. 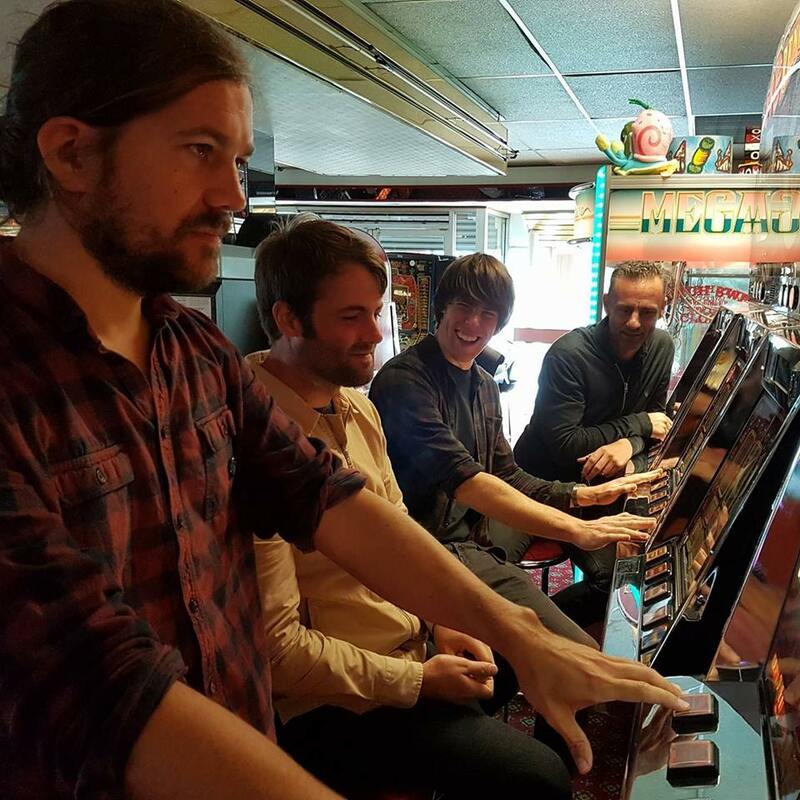 Tomas is busy finishing off another Caddy album, which will be one to listen out for later this year and Jamie has had his second child so is taking time out for family commitments. I've been the only lucky one from the studio band who has gotten to tour the album along with my brother on guitars and some other great musicians from Perth and Italy. There will be a video coming out for Everybody Dance a little after the tour. I imagine that I'll be ready for a break from gigging by then. Amongst other things I'd like to improve my cooking skills. I make a mean Lobster Pasta, but outside of that my food production repertoire is rather limited!" "I think it is mostly about the melody for me. Great melodies that you can sing along to, together with some crunchy guitars played with gusto and presto musical magic! I feel the "Power" part of Power Pop is really important for me. The "Power" is the passionate part and a very essential ingredient." What's The Oz scene like at present and how do you and Power Pop fit in? "The Oz scene, like most scenes around the world, is pretty healthy as far as talent goes across many genres. We have the same problem shared by other countries in that there are way more bands than venues and opportunities for exposure for those bands. As far as Power Pop goes, it's been a dirty word down under for quite a few years now. There are actually very few bands playing Power Pop down here. That said I feel Aussie Power Pop had a great 2017 with fantastic albums from the likes of Wesley Fuller, The Naturals, The Wellingtons and The On And Ons. It's just a matter of time until Power Pop is cool again. Our fan base is certainly bigger Overseas than it is in Australia. We've played way less shows here than we have in the US and Europe That said, since we released our album, we've been asked to play more shows in Australia in the last few months than we have in our entire 7 or so years of existence and the gigs have been really fun. We're kicking off the Everybody Dance Tour with two shows in our home town with a great Sydney based rock band called Front End Loader. I'm sure it's going to be good times, followed by even more good times making new friends across Europe and catching up with some old ones too. See you soon!" You can listen to and buy the band's album here. The Stanleys play The Cavern Pub on Thursday 17 May and The Cavern Club on Friday 18 May. Seattle's Jon Fickes released the A View Of Earth From The Moon in December of last year. I'd expect Closer To A Ghost to be in many 2018 End Of Year Lists. It's top notch Pop Rock, more akin to the Power Pop of the 90's. It feels more aligned to the more melodic and poppier bands of Brit Pop. A review is to come here, but as you'll hear with the song selections that I've chosen, this is Top Notch stuff and I'm so looking forward to hearing these songs live. I'm also hoping to get Mick Dillingham and Jon talking to each other for a future feature in Mick's Interview Series. The album is a real must have for all. There's so many hooks on the album, it's an astonishingly good debut. Very very British in it's feel and sound, anthems aplenty, as soon as it ends, you start it again. Here I have a few words with Jon about the album and IPO. The album is very Brit orientated. You've cited your Brit Pop Influences in the past. Is that the reason for your IPO Liverpool appearance? "I had an opportunity to play the IPO in Seattle a few years ago when I was in a band called The Fraidies, but I was playing some shows out of town the same weekend and missed out. I'm thrilled the fates have given me a second chance to play and what a better place to play it than in Liverpool? At the risk of sounding clichéd, The Beatles are reason I play music. I was a ten year old kid in an eastern Washington farm town with dreams of being a Major League Baseball player and then I saw The Beatles Anthology. I instantly fell in love with them and my dreams changed over night. I traded in my baseball bat for a guitar and never looked back. 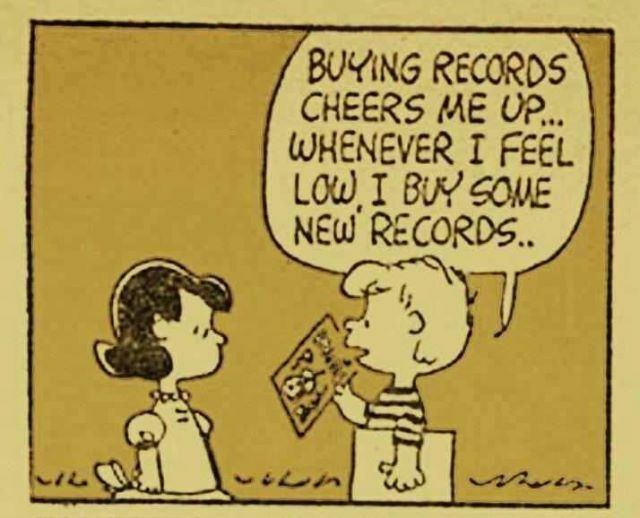 You do come across as a Music Lover? The next years were spent playing music underage in bars, getting a degree in music, playing folk songs in New York City, indie rock in Seattle, and eventually joining a Beatles tribute band to fund my original music projects; albums, tours, PR campaigns, videos, etc. That love of the Fab Four does shine through! The Beatles tribute world has been a blast. I've played all over the world and shared stages with some of the biggest names in music and even a real Beatle. A show with Pete Best in Detroit was an absolute dream for the ten year old kid inside me who fantasised about playing The Cavern Club and hanging out with those young scruffy leather clad Beatles that were on the precipice of stardom. 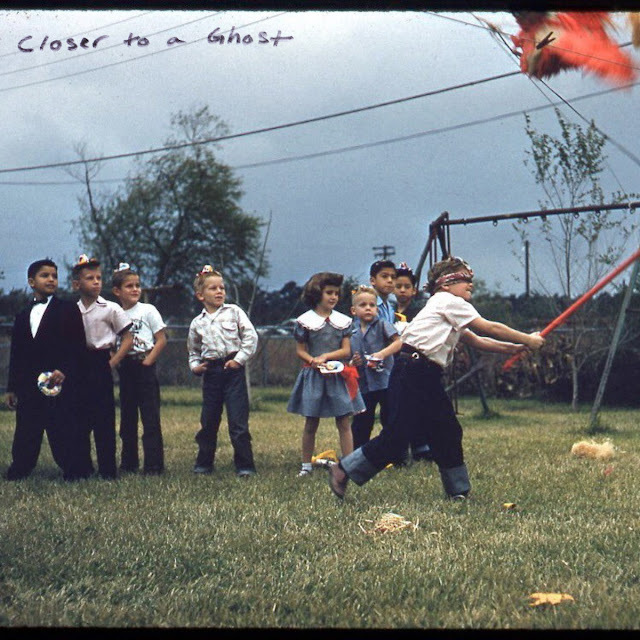 You can listen to and buy Closer To A Ghost here. You really should. A View Of Earth From The Moon open and close IPO Liverpool, playing The Cavern Pub on Tuesday 15 May and The Cavern Club on Tuesday May 22. In between those two IPO Appearances, you can see them in Sheffield, York, Glasgow and Leeds. Dates are on the Bandcamp page. 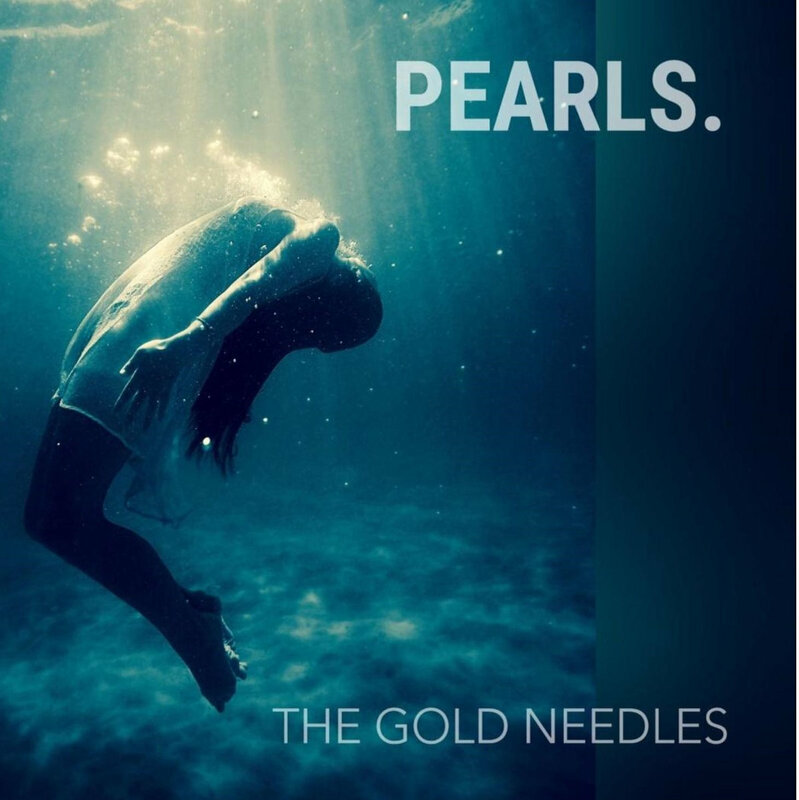 The Gold Needles are from Hull and the new album, Pearls, is one of the best things that I've heard this year. I'll not dwell on the album too much, because there's a lengthy review to appear here after the IPO Previews are done. Although the band are well in with the Fruits de Mer crowd, they are definitely at the poppier end of that brigade. What The Gold Needles do is hard to pin down, equally comfortable with Psych as Pop, one minute they sound all latter day Be Bop Deluxe, the next it's reminiscent of The Cars. That is what makes the album so good. It's incredibly varied, but at it's heart there are real pop sensibilities, no matter how left field it goes. I can't recommend Pearls highly enough. It's a corking 18 track ride. Here I talk to Mark English about the band's past and future. Pearls is so varied, who exactly are your influences? "Anyone listening to our music will hear that our influences are wide and varied and this is reflected in the eclectic nature of our songs. We love melody and harmony, we love to hear the guitars jangle and we also love a bit of power. The Beatles, The Beach Boys, The Byrds, The Motors, Love, Gen X and Be Bop Deluxe all feature highly in our individual playlists. Coming from Hull, we are all massive fans of Ziggy era David Bowie given that the Spiders all hailed from our hometown. Our lead guitarist, Dave, in particular, is a massive Mick Ronson fan." So how did this love of music evolve? "In early 1977 for some reason, local band, Dead Fingers Talk, were booked to play at my school disco. Although I had no idea what was going on, I could feel that something was. Being young and impressionable I quickly decided that I wanted to be in a band. I used to daydream about playing All My Loving and other early Beatles stuff. Coming to The Cavern to play at the most famous venue in the world is a dream come true. Music has the ability to move and inspire you, to energise and motivate you. There is nothing like being at a gig and feeling the air move. The rest of the band have similar stories as to why they wanted to play music." "We formed 3 years ago as a recording project. Since then we have expanded the line up in order to play live, making our debut last year supporting Duncan Reid and The Big Heads. In 2016 Fruits de Mer records released a limited edition 5 inch lathe cut single featuring First Sunrise and this sold out within an hour. We also appeared on their festival compilation CDs for both 2016 and 2017. Then we self released our own limited edition clear vinyl lathe cut single, Not Tonight Josephine, in 2017 and this received a glowing review in Record Collector magazine.We contributed a cover of The Poster to 7a Records who specialise in Monkees' related releases and this was included on their tribute album, Listen To The Bands. In 2018 US label, Kool Kat released Pearls, making it available on CD and download. However, we have had considerable interest in this being released on vinyl and we are currently taking orders for this. The album received a very favourable review on May's Goldmine Site. Tracks from the album have received airplay in the UK, USA, Canada, South Africa and Australia." "We welcome Duncan Reid And The Big Heads back to Hull on 29 June and we will be supporting them again. In August we make an appearance at Fruits de Mer Records 16th Dream of Dr Sardonicus Festival which is sponsored by Record Collector Magazine. Our single on Fruits de Mer Records, Smell Of Incense, will be available exclusively at the festival. This is a taster for a various artists triple album release on the same label in the Autumn. We are bringing The Darling Buds to Hull on 7 September and are excited to be supporting them on their first date in Hull for over 25 years. We have also been asked to contribute to an Adrian Borland / The Sound tribute album which is to be released on TBM Records. Our version of Counting The Days will be included on this. In the meantime we continue to write and record and we are actively looking for more opportunities to play live." You can listen and buy the album here. The CD can be bought at Kool Kat here. The band play The Cavern Club and The Cavern Pub on Tuesday 22 May. The excellent Micah Gilbert hails from Athens Georgia, but is resident on these shores. His debut album, Book Of Changes is wildly regarded as one of the great lost Singer Songwriter Classics. His latest album, Tales Of Love, was released late last year and enhances his reputation. Gilbert writes songs of depth that may jangle or strum, but hang on melody and lyrical strength. So who are your influences Micah? "My biggest early musical influences are The Beatles, songwriters of good melodies and/or lyrics in general, e.g., Paul Simon, James Taylor, Leon Russell, Nilsson, Bob Dylan and some of the Tin Pan Alley songwriters. Slightly more recently, Sam Phillips and Aimee Mann are two favourites." "I love making music is the basic answer to that question. Music was not a choice for me. I was born with the love of music and as soon as I could understand it I tried my hand at making my own. It moves me like few things do. I’m drawn to the energy of it, or composition of it, or the lyrical content, or by the sheer magic of something I can’t explain." "I was born in the southern U.S and lived in various places on the eastern side of the country. From a relatively early age (if memory serves, about 14 years of age) I started playing in bands and doing solo or duo work. This was and has always been the case. I’ve always recorded, from the time I made my first recordings on two cheap tape machines bounced to each other live in the room. I’ve had spells of inactivity and an occasional (understandable) lack of interest in the business of music that sometimes goes along with making music, but I’ve always come back to performing in some way. I’ve enjoyed what I’ve done. I went from a smallish town in the south to recording in New York, and Athens, Georgia and Scotland,and performing in large showcases like South by Southwest in Austin, Texas. People still ask me about “Book of Changes”, my first album. I just released a new album “Tales of Love”." "I’ve been rehearsing with a great group of dedicated musicians (Kevyn Smith, Paul Syme, and Jim Carney) for the IPO festival. Also, I’ve been working on a new album. More recording is planned, some live gigs with the Liverpool band and some solo performing to air out my new material and hang out with friends." What you think of IPO and Liverpool? "I love the IPO and Liverpool (great city). David Bash and I had known each other (without having met) for some 20 years. We were first in touch about my album “Book of Changes”. Four years ago, we connected face to face at the IPO. David has done so much to give a helping hand to so many musicians. He and Rina Bardfield do an incredible amount of promotion for musicians, songwriters, and bands. History will look kindly on David’s dedication to the music world. I know I do. The IPO also gives me the chance to catch up with the Big Stir Records folks and The Newds and an assortment of friends who seem to always show up at the Cavern." 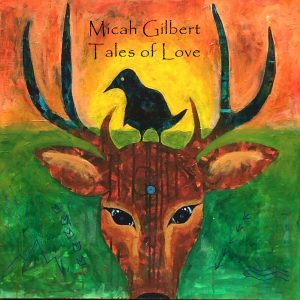 You can listen to and buy Tales Of Love here. You can buy Book Of Changes and other songs here. Micah plays at both The Cavern Pub and The Cavern Club on Wednesday 16 May. Also, a reminder that the show is archived the following week on Mixcloud. You can listen to the other forty two shows and two Xmas Specials here. Rob Clarke is really one of our local heroes. 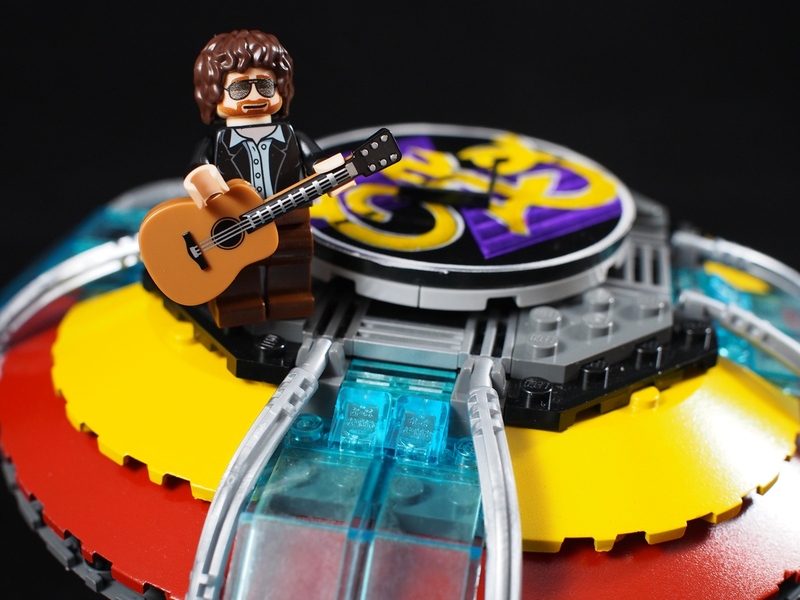 Although his solo career took him all over the country, he is one of our own. That solo career included playing live and involved in sessions for Pretenders, Fischer Z, The Truth and Peter Hammill. He returned to Liverpool after teaming up with A Flock Of Seagulls' Paul Reynolds and Frank Maudsley in the band, Almighty Atmosphere. His later solo work included three acoustic albums before the Telecaster Psych blitz of 2014's The World Of The Wooltones. There followed an Alt Country album, 10 Country Greats And 1 Other, which you can listen to and buy here. It is however the development of The Wooltones that caught most people's attention. It's a 60's Psych Pop noise that just grips you. The World Of The Wooltones was repackaged as a compilation with two extra tracks and a bonus disc on my great friend Ray Gianchetti's Kool Kat Label. The resultant, Are You Wooltoned was reviewed on I Don't Hear A Single here. The new album, Big Night Out has just been released. Kool Kat have a bonus disc with a Quarrymen connection which you can buy here. You can listen to the album and buy the download version here. There will be a full review on IDHAS after the IPO Liverpool Previews are done. Rob cites amongst his influences, The Beatles, Rolling Stones, The Byrds, Neil Young and The Tornados. His aim is to "broaden The Wooltone brand, trying to take some of the good stuff from the 60s particularly the way things were done. The aim is to look at it from the standpoint of today without losing too much of the innocence along the way." He explains, "There was a lot of naivety in the 60s, but it was also mixed with some extreme intelligence and a lot of people maybe did have some inkling or perception of how things were going to go." Clarke thinks "IPO is different from almost every other event locally as it draws bands who aren’t necessarily very well known from all over the place, especially other parts of Europe. That alone gives it a completely different flavour." "People go to it and like it for what it is so it tends to have a wide audience who are thrilled to be where they are and to enjoy it and to soak up the atmosphere of the Cavern. Which makes it fun to do. The whole thing feeds off the energy of David Bash, who puts on IPO events all over the US and Europe on a seemingly never ending tour." Rob's research shows that "Our audience is primarily 45-54 year old men." So "Everything from now on will be scientifically assessed, so as to appeal to them and them alone." I think he might be joking, but I'm also surprised by the audience feedback, because the DIY Psych Pop feel of Wooltones' albums should really appeal to the more hipster market. 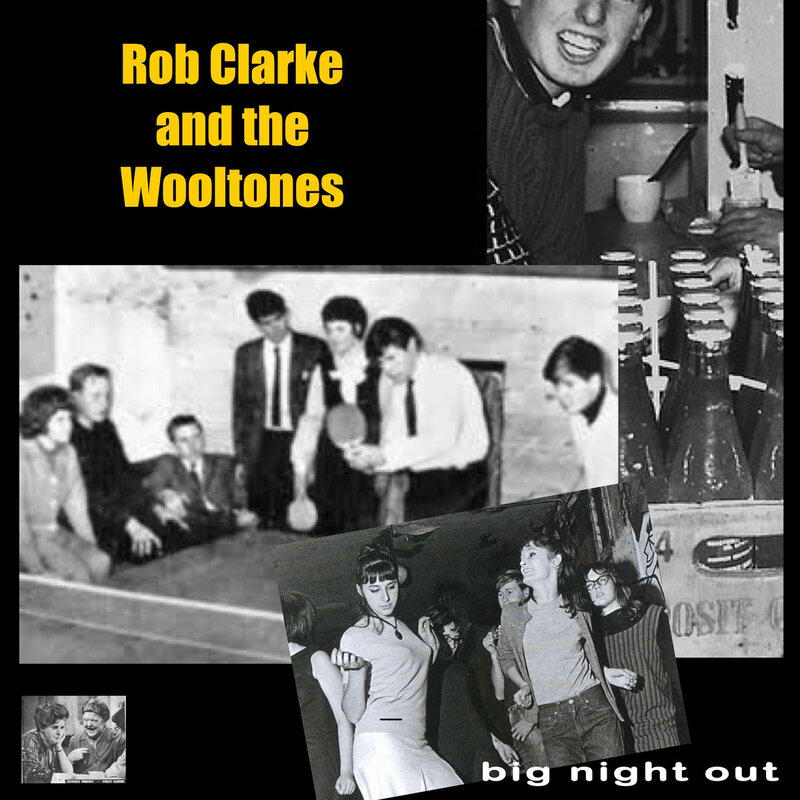 Rob Clarke And The Wooltones play The Cavern Club on Wednesday 16 May and The Cavern Club on Monday 21 May. 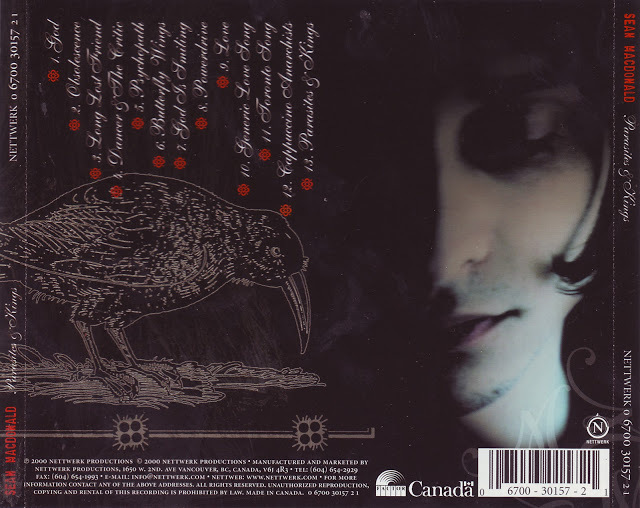 For those interested in Rob Clarke's earlier solo work, you can listen to and buy it here. Matt Purcell is something of an IPO Liverpool Regular. An Australian who relocated to Dublin. His third album, Silver Man, is full of thoughtful Power Pop Goodness. There's plenty of Jangle to be heard. His earlier Australian Band, Deluxe, played supports with Elastica, You Am I, Powderfinger and The Pursuit Of Happiness. Below is a brief interview about his influences, future plans and playing this year's IPO. The Beatles, of course, The Kinks & The Easybeats. I also find that the bands that I first supported as a teenager, are still very influential for me. The Pyramidiacs, The Crusaders & The Slaters, all Sydney bands, that between them, had a lot of the influences that have been a constant in my song writing. That being 60’s, power pop, garage & independent guitar music (and all great live bands). For starters David Bash is the real deal. You can only praise what he is doing can’t you? This will be my 4th time playing IPO Liverpool. I love seeing amazing bands from all around the world playing 60’s Power pop ‘n’ garage music. Some of the stand outs for me have even sung in English and when I went to talk to them after the show, realised that they couldn’t speak English. Great bands from Italy, Spain, Germany etc and also the local bands that blow you away every year. There is nothing like the IPO at The Cavern for me. 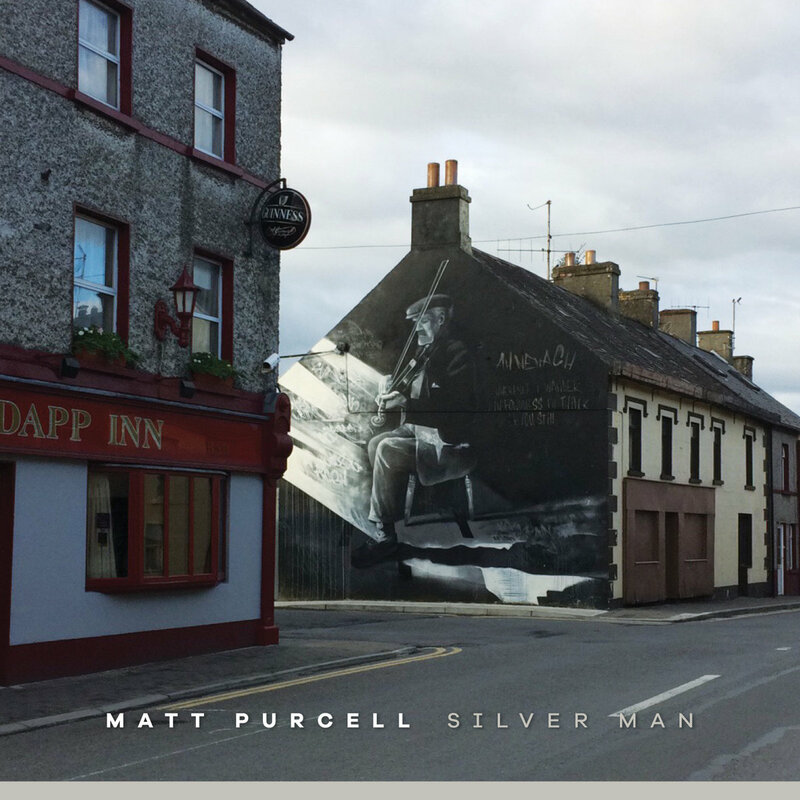 I have my third full length album coming out now ‘Matt Purcell - Silver Man’. It will be released on vinyl in July 2018. This is my first vinyl release, so it’s a 25 year plan coming to fruition. Excited about that really. I will be pushing to play some more shows to support the release, Liverpool, London, Spain, Germany, who knows?, maybe even get over to the US for the first time, I will basically be trying to keep my Liverpool International Pop Overthrow Festival going continually until next year's one. You can listen to and buy Silver Man here. 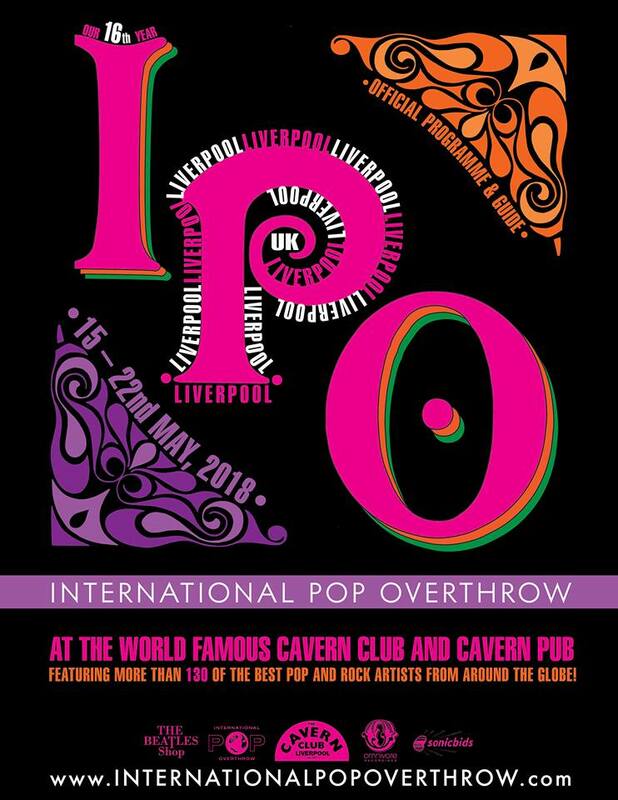 Matt will be playing at IPO Liverpool in The Cavern Pub on Thursday 17 May and at The Cavern Club on Friday 18 May. You can find out more about Matt here. I think many of you know just how highly I rate The Ragamuffins. Saviours Of The North West who should have the world switched on to them by now. They feature a few times on IDHAS, the most recent appearance was a review of the current album, Cause Of Causes, here. The band has evolved, the directions differed, the anger is far more directed. Every step that the band has taken has caused surprise and delight. As David Jaggs tells us in this short interview, that development has largely been finding the right people to convey the soundscape in his head. "Our roots were always plunged deep into the songs we came up with. I've often said that discovering Belle & Sebastian was a sort of awakening in terms of seeing the scope of orchestration you could do with a pop band on a scale that wasn't a case of international mega-stardom. But it's taken me years to get to a point where I have the gang of bandmates surrounding me who can come together and deliver the kind of full sonic scope I've had in my head. Stuart Murdoch, Jarvis Cocker and Elvis Costello were lyrically the biggest influences on me personally as a songwriter and the latter's use of double entendres and wordplay is pretty much second to none. My use of a Jazzmaster has nothing to do with the great man though; I found it going cheap in a music shop (Reidy's) in Blackburn, couldn't really say no and bought it before meeting the girl who is now my wife for a cup of tea at a friend's house for the first time. The fact the guitar is her favourite colour (seafoam green) is just another of life's beautiful coincidences I suppose? We first played the IPO festival ten years ago and it was one of the first shows we ever did as the prototype version of The Ragamuffins. It's always been good to us and David and Rina have always been so supportive of us. The first gig we ever played as The Ragamuffins was at The Cavern alongside Everything Everything in 2008, which is wild when you think about it. There's undoubtedly a bit of snobbery towards the festival and Mathew Street as a music hub full stop, which I can understand. There's still that revisionist feeling about wanting to completely move on from the Merseybeat days (it was a long time ago now!) amongst some within the Liverpool music community. Granted, there can sometimes be a bit of a hit or miss affair with some bands on the bill at IPO, but I've made really good friends amongst some of the Swedish and German bands we've caught playing down the years especially The Jooles, Rhonda and others." "We're still very much plugging our latest record, Cause Of Causes, which you gave such a smashing review to a couple of months back. The album was named after a horse which we received in a sweepstake after a gig. It winning us the money needed to actually master the record! We do have plans to do some studio stuff in June though. I REALLY want to work a new version of "It Never Rains On Mossley Hill" into our plans, as we're looking to do some slightly more dub/ska/reggae tinged material. This will probably be an EP's worth with maybe two complete re-imaginings of Ragamuffin staple tracks, one refreshing of an older tune that was always sauntering down that road and two brand new songs. There's a few singles we're working on together, but I think we might hold them back for now. We've got the capacity to stick new stuff onto Spotify and online sites at will really through our Chocolate Chip Records label now. However, sometimes Independence can create it's own problems to you as an artist. You're just too eager to give people your new music to listen to and without anyone to restrain you you'll simply overwhelm all but your die-hard fans. Even a Michelin starred chef has to serve his food one course at a time." "I have thought of an idea that incorporates crowdfunding, live streaming of gigs and giving access to special records to your fans but it'd be mid summer by the time we could put that into play." You can listen to and buy all things Ragamuffin here. 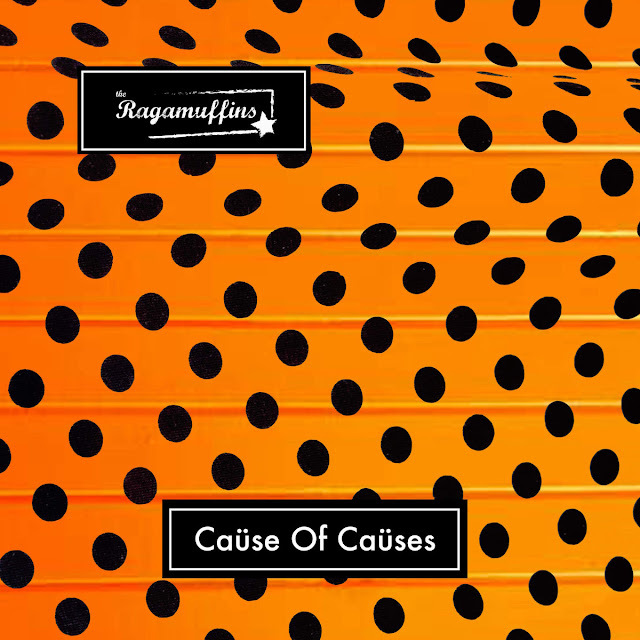 Cause Of Causes is on Spotify here. The band play The Cavern Club and The Cavern Pub on Monday 21 May. The Ragamuffins are one of the bands that I'm most looking forward to seeing over IPO's eight days. I've always been a fan of The Junipers. I've always thought of them as a more modern day Diesel Park West. Maybe it's the Leicester connection, but more that Robyn Gibson has an almost unique Gentle Vocal, slightly different to John Butler. but just as good. You can read my review of Red Bouquet Fair here. Gibson had always wanted to record a cover album and so after the weekly Junipers' rehearsals, he recorded the first Bob Of The Pops album over those years and was astonished at the fantastic reaction that the resulting album gathered. You can read my review of the first album here. The Junipers were now mothballed and so Robyn set about recording the excellent Volume 2 in five months, a tenth of the time of the previous album. Volume 2 is equally excellent and thise Teenage Fanclub comparisons from Volume 1, feel more so on Volume 2. Then Bob Of The Pops became a band, so this seems the right time for Robyn to tell the story to this point. Cut to years later and I've managed to get my foot into the door of one of my favourite bands by accidentally becoming their singer (I joined as guitars/harmonies, that was the plan anyway.) My first band practise with the group, the original singer didn't turn up and in fact, never did again. Quite lucky aren't I? The idea for a solo covers album had been a constant 'one day.. I'll try to do this' notion for years, but finally happened when I suddenly had enough fun solo covers (which I'd knock up after band practises or recording sessions with the Junipers, staying behind afterwards to record drums) to actually make up an album's worth. So this was volume one. It took about five years to get enough songs recorded. You know, just for fun.. The idea was always to make it to give away, (Absolutely so, as I couldn't take any credit for all the fantastic songs I was getting to sing. These are written by creative geniuses!)" Whilst about halfway through recording volume 3, earlier this year, I got my old pal Ben, who'd been missing the Junipers' nights as much as myself, but hadn't had the luxury of still going 'down the room' every week, to come and play drums. It only takes two mates to change a solo thing to a band, it turned out. We should have done this months ago! We've been constantly meeting up every week since to record or play together. We were even offered a gig (Playing support to the unbelievably good El Goodo), so by default, needing a name to put on a poster, 'Bob of the Pops' became the name of the band." The first gig was done, (for the sheer fun of it), as a drums and guitar 'band', but a bass would have made it even better... So for the IPO, we've enlisted Ash, also a Juniper. (I'm seeing a pattern here) All of a sudden I've got 'my own band' (for the first time in 30 years of playing in groups...) Ash and Ben are such a great rhythm section, we've known each other as mates and band mates for many many years. We all have a laugh, almost all the time... I love it. I am astonished at my luck and fortune to be having seen this grow into what it now is, all by itself, almost by accident. Like I say, quite lucky, aren't I really?" 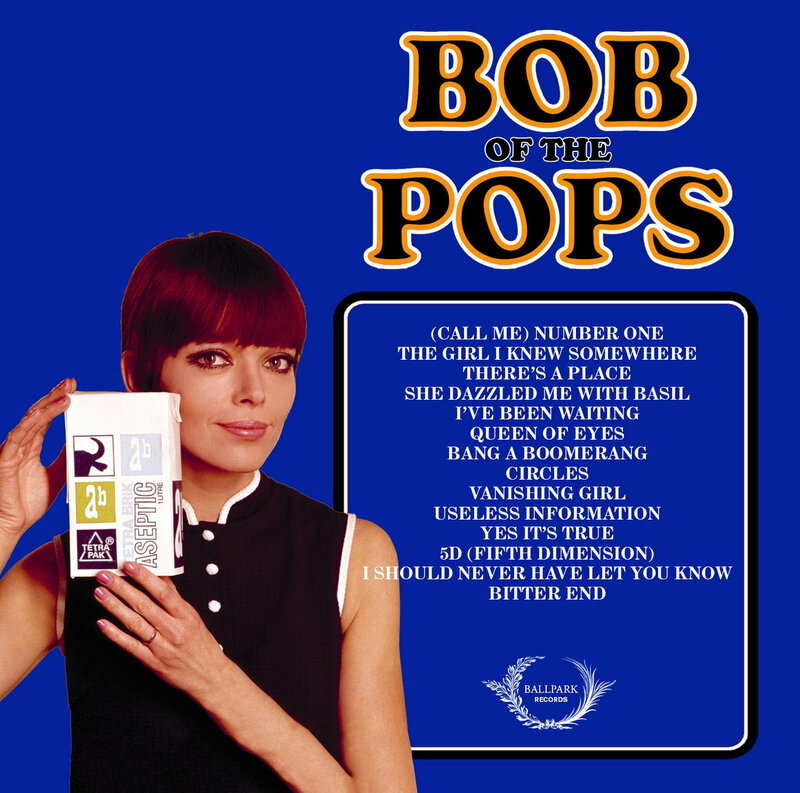 You can listen to the first two Bob Of The Pops Albums and download them for free here. Bob Of The Pops play both The Cavern Pub and The Cavern Club on Sunday 20 May. IPO Liverpool in just over a week and over the next 7 or 8 days, I Don't Hear A Single Will be previewing some of the artists you can go and see and hear. You can see the band schedule here. Vancouver trio, The Top Boost, show a maturity beyond their age. All three contribute to the vocal mix and this adds real depth to their songs. The debut EP, Turn Around, splits it's four songs half and half. The title track, which you will have heard on last week's Radio Show, is pure Power Pop, but it's the Psych Pop that stands out most. Still On My Mind is a gem, but the masterpiece is What If She Loves You? What If She Loves You? is a sort of Mod Psych, a real crackerjack of a song. 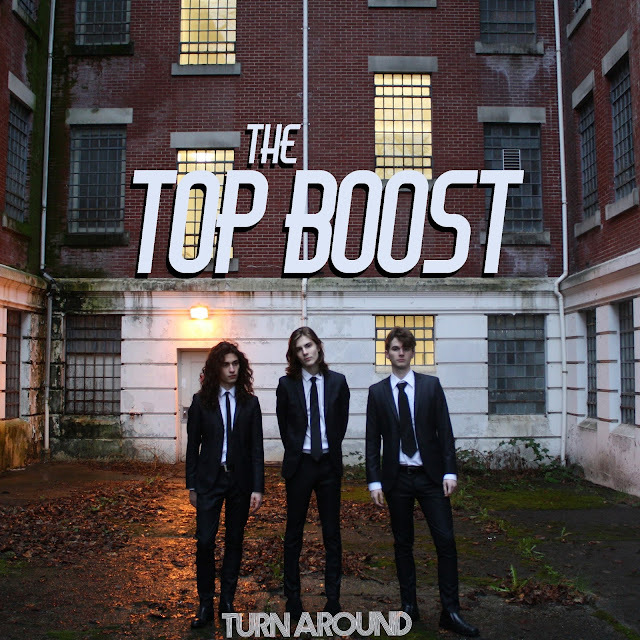 The Top Boost play The Cavern Pub on Friday May 18 and The Cavern Club on Saturday May 19. You can find more on the band here. Before the IPO Liverpool Previews begin, here's details of Show 42 of the I Don't Hear A Single Jamboree. Seems a bit mellower than usual to these ears, but it's suitably poptastic. 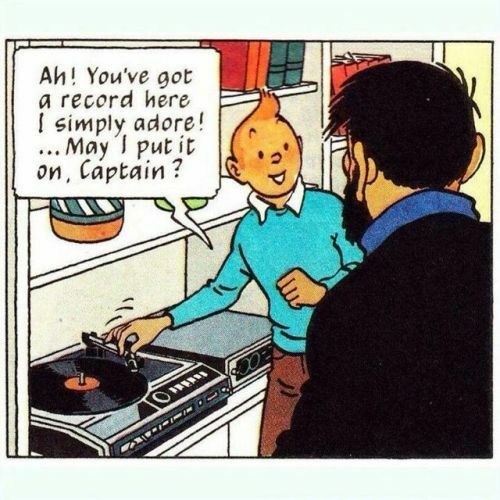 Also, a reminder that the show is archived the following week on Mixcloud. You can listen to the other forty one shows and two Xmas Specials here. 11 The Fleshtones - I Surrender!